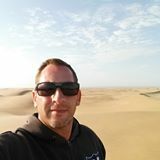 Gerhard Sagat is the Head of Strategy at the internationally acclaimed advertising agency DDB SA. In his spare time he volunteers as the chairman of SSA’s marketing committee. Gerhard was the main driver of the recent billboard and video awareness campaign “Learn by Doing” that was done pro bono for the Scouts by DDB SA. So what motivated him to take this on and to inspire his network to get involved? The campaign comprises of a billboard placed in the child friendly PWC Park in Sandton which is visible from the road. What do you hope the campaign achieves? 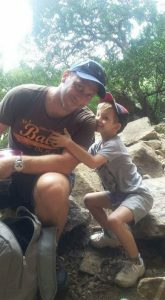 “I think that the biggest challenges SCOUTS South Africa faces currently is that of “top of mind” awareness and relevance. 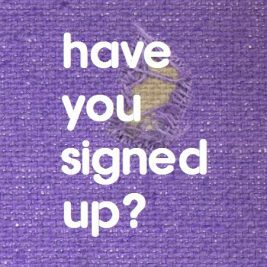 Everybody has heard of the Scouts but it’s not the first name that comes to mind when you think of children’s activities or extra murals. In order for us to grow the movement, we need to ensure that Scouts comes to mind first. Secondly, I think that people have misconceptions about Scouts and think that it may not be relevant in today’s world – which is the furthest thing from the truth. 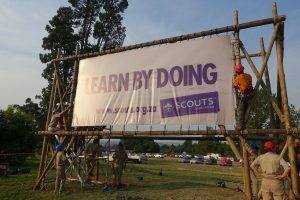 What I hope the billboard does is help address both of those challenges with a single project – raising awareness levels of Scouts as well as demonstrating its relevance to SA,” he explains.